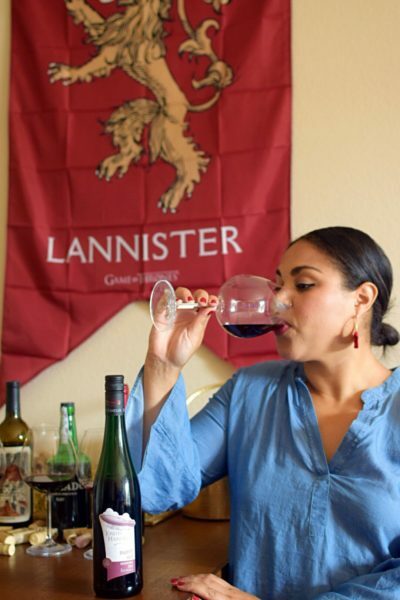 Online shopping is probably the best invention since screw-cap wine. I pretty much get everything online including beauty products, clothing, shoes and more. 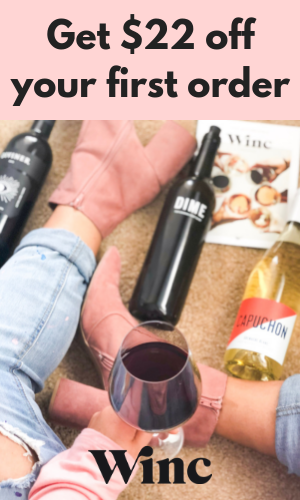 Not only do I prefer online shopping to in-store shopping because of the convenience, but I can also earn airline miles and tend to get better deals with tools like Honey when I shop online. 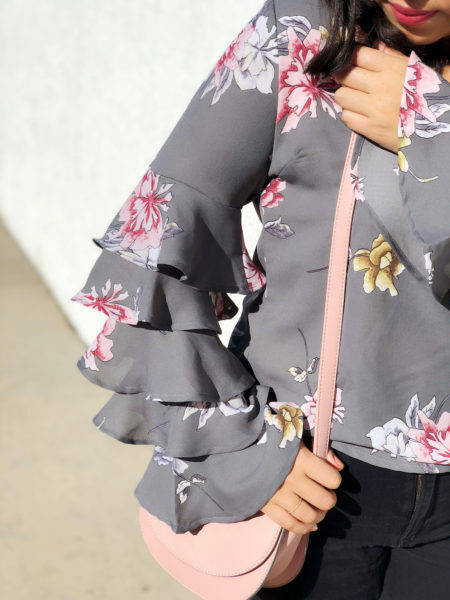 Whether you’re trying to save money or just want to find a cheap but trendy outfit for an upcoming event, here are the best affordable online clothing stores that I promise you will love! Yes, that store we all used to love in high school has stepped it’s game up in a major way over the last few years! 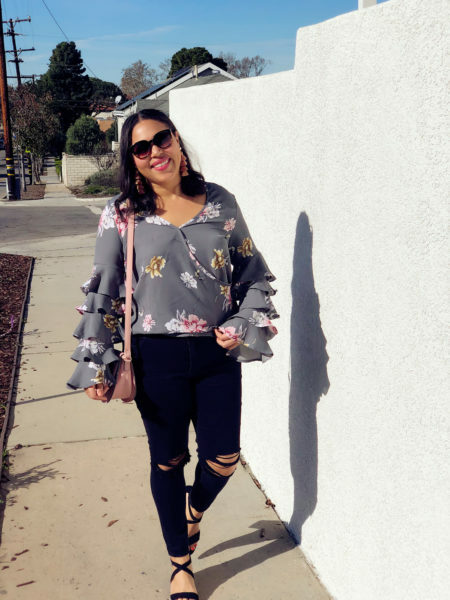 From shoes, to purses, to on-trend clothes in straight and plus sizes, Charlotte Russe is one of my favorite places to shop online for affordable pieces. Let me warn you though, the inventory online vs in store is very different, and the online store far surpasses their brick and mortar stores. I’ve styled pieces from this store many times in the past: leopard print booties here, chambray cold shoulder top here and maxi kimono here. Next time you’re in need of a cute top (like the one I’m wearing above) or a cheap pair of shoes (like these pink booties), check them out. They also have great sales which make their already affordable prices even sweeter! They offer free in-store returns which I always take advantage of. If you haven’t checked out this store in the last few years, you’re missing out. LOFT, the more affordable sister to Ann Taylor, has high quality classic pieces (as well as trendy pieces) for amazing prices. This is one of my go-to places when I need new work clothes, or am looking to restock on basics. See pieces I’ve styled from LOFT: luxe cream jacket with chambray dress here, styling a camo jacket 3 ways here and styling a Portuguese inspired graphic tee here. I almost never buy anything full-price here as they have some of the best sales ever, and they have them often. They also offer free in-store returns! This UK-based retailer has been one of my faves, and has a huge selection of trendy clothing, shoes and handbags. They cater to women of all shapes and sizes, and carry plus sizes, tall sizes and petite sizes. This is another site that has incredible sales, so you’ll rarely if ever have to pay full price. This is my go-to place for dresses, seasonal pajamas and trendy tops. 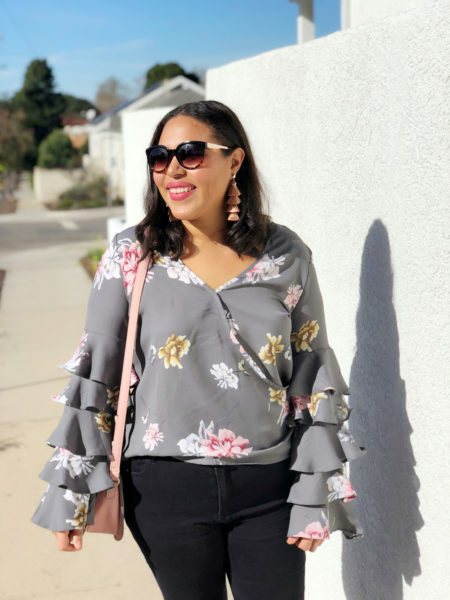 See looks I’ve styled from Boohoo: plus cape dress here, tiered bell sleeve top here, pink wrap occasionwear dress here, multiple tropical looks here, gorgeous floral maxi dress here and plus size swim suit here. Boohoo returns are done via USPS, but you will have to foot the bill. This is another great one for on-trend clothing at a very reasonable price. They have tons of options for $50 or under, and often have a really great sale section (which is where I do most of my shopping). If you shop here frequently, they have a $19/yr 2-day shipping option which is pretty sweet. They also offer free returns! See how I styled this blue gingham dress from ASOS here. Old Navy is a classic store that often gets overlooked. This is the perfect place to get basics like t-shirts, cardigans, leggings, casual dresses, bathing suits and pants. They are fiercely reliable, have a great return policy and offer sales on almost a daily basis. Plus, if you’re signed up for any airline shopping programs, Old Navy always has a good mile/$ ratio. They offer free returns via post or in-store. See looks I’ve styled from Old Navy: lace-up chambray dress here and cold shoulder chambray dress here. If you’ve been following me for awhile, you know I love my JustFab (see looks I’ve styled from JustFab: red sweater dress here, black peep toe booties + slimming jeans here and tan peep toe booties here). This is the first place I go to when I need a new pair of shoes, seasonal handbag or a trendy piece of clothing (they literally have EVERYTHING and carry plus sizes). 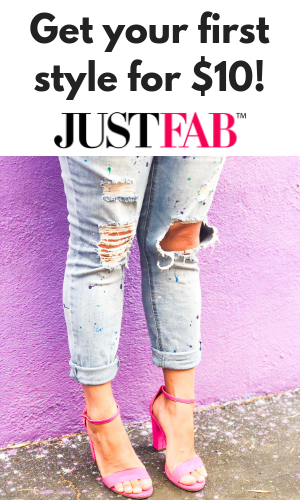 JustFab is a membership-based program that allows you access to hundreds of affordable styles (everything is under $50) that are updated on a monthly basis. Once you make your first purchase, you’re automatically signed up as a VIP member, which gives you discounts and early-access to amazing sales. If you decide to join, make sure to skip the month by the 5th of each month in order to avoid being charged $39.95, which gives you a credit to go in and buy something new each month. You can also cancel at any time. They offer free exchanges, and returns are $5.95. Join now and get a major discount with my link! From comfy jeans and cozy cardigans to blazers and blouses, Express is a great store for chic ladies on a budget. This is one of my favorite places to get jeans (like the ones I’m wearing in this post). At first look, Express might not look that affordable, but with their frequent sales and generous coupons, it really is. See looks I’ve styled from Express cozy cardigan here, my favorite high waisted black jeans here and oversized maroon and pink striped sweater here. Free returns via post and in-store! Yep, I love Amazon (best beauty buys under $25 from Amazon here). Whenever I need something really quickly, I head here, and am rarely disappointed. I got this dress for a holiday party with free next-day shipping for under $40! I also got this beautiful bamboo purse (under $45) and this pretty pearl clutch (under $25) here and LOVE them both. Whether you need a bathing suit, a dress, a handbag or a pair of heels (like the ones I’m wearing in this post), Amazon has got you covered. Most Amazon purchases will offer free returns. Lulus is one of my favorite places to get gorgeous maxi dresses! In addition to affordable dresses, they also have really pretty tops, skirts and accessories for under $100. They offer free returns with all orders! See how I’ve styled a floral maxi dress from Lulus here. Tobi is a relatively new website that has on-trend clothing, shoes and accessories for millennial women. I get a lot of my cardigans, sweaters and dresses here, and never pay full price for anything. They update their inventory 5-6 times a week, and new items are usually on sale for 30% off + they frequently have 50% off site-wide sales #bless. Tobi offers free returns. Start shopping and get 50% off your first purchase! 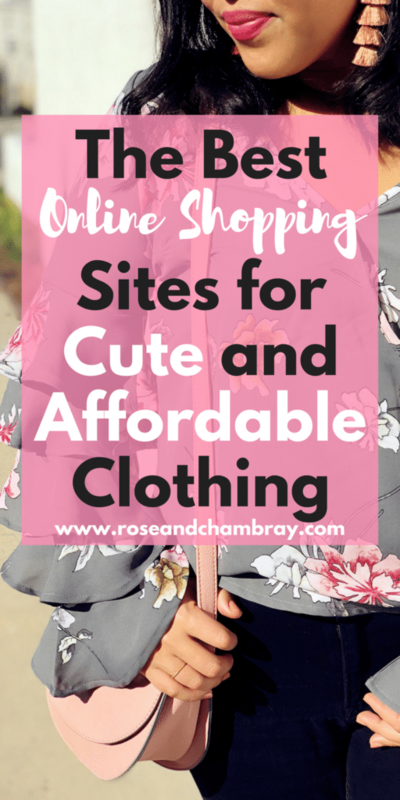 These are online shopping sites that offer cute & affordable clothes that I HAVE NOT personally shopped at, but have heard great things! Zulily– this store has everything from boots and cardigans to food processors and perfume, all at reduced prices. 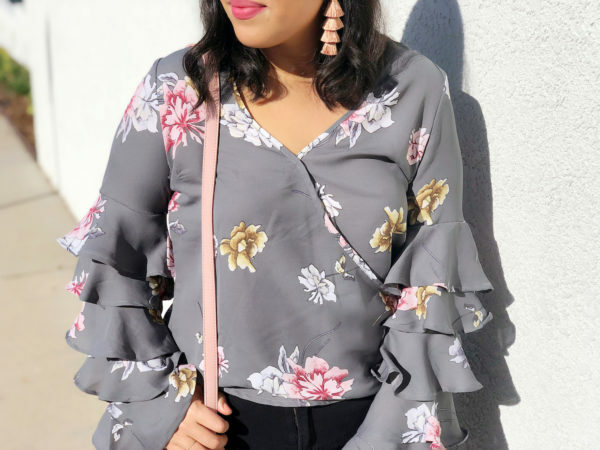 SheIn– They have a crazy selection of affordable, on-trend clothes with great shipping options. Make sure to read reviews and take a look at the sizing chart before making a purchase as I’ve heard that items tend to run small. DressLily– Cute and affordable dresses, tops, swimwear and more. This retailer also offers plus sizes! I’ll make sure to update this list as new stores come on my radar! 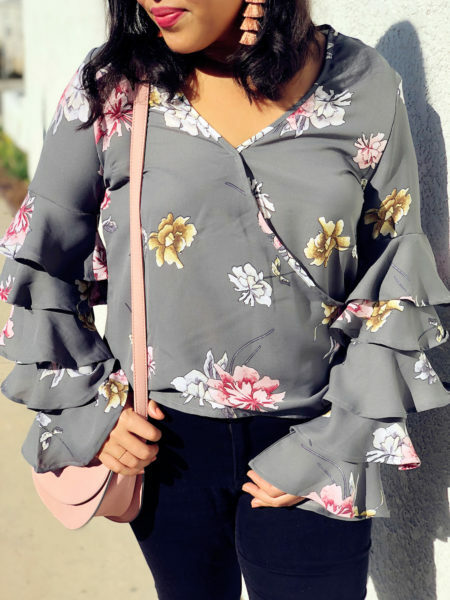 What are your favorite online stores to get cute and affordable clothing?